At Clifton Pediatric Dental Care, we understand how important it is to develop good teeth cleaning practices in order to avoid cavities, tooth decay and gingivitis. Unfortunately, once your teeth fall out, the ones that replace them are more likely to get cavities, no matter how well you are flossing and brushing your teeth. Our Passaic County pediatric dentist Dr. Ari Sugarman can clean your teeth and keep your mouth healthy and on the right track. In this tough economy, everyone is looking for the opportunity to cut costs and lower their expenses. Clifton Pediatric Dental Care fully understands and wants to help as much as we can. To that end, we are currently offering a complimentary cleaning with your back-to-school check-up through the month of September. Summer is nearly over and school will be starting in no time. Things can get busy at this time of year, you need to go shopping for school supplies, get your kids' hair cut and purchase new clothes. With our current two-for-one offer, there is no better time than the present to drop by our office, meet our Passaic County pediatric dentist and get your child's teeth cleaned and checked. For more information about our current back to school teeth cleaning and check up promotion, contact Clifton Pediatric Dental Care in Passaic County at 973-473-7377. Parents should brush preschoolers' teeth after breakfast and before bedtime. By the age of two, the child is ready to start flossing. 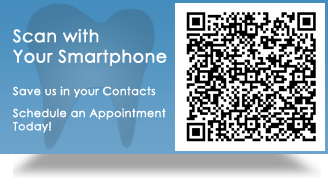 When visiting the dentist, make it a positive experience and instill the notion that this is a fun and happy trip. Continue supervising brushing until the age of 7 or 8. Supervise your child's flossing until they are 10 years old. Visit the dentist every six months. Get sealants put on your child's teeth. The majority of cavities in kids under 12 are on the surfaces of back teeth. By covering these teeth with sealants, the risk of future dental problems is greatly minimized. Also try to limit snacks to healthy fruits and vegetables, rather than sugary options. Tooth decay and gum disease affects 60 percent of teens. Teenagers typically eat nine times a day, and they tend to favor a diet full of sugars and starches. Remain watchful of their eating habits. Make sure your teenager is not putting off brushing and flossing. We make it our priority to provide our patients with proper teeth care techniques so that they walk away with the knowledge of how to keep their teeth clean and healthy. For more information about pediatric dental care in NJ, contact our office today at 973-473-7377!